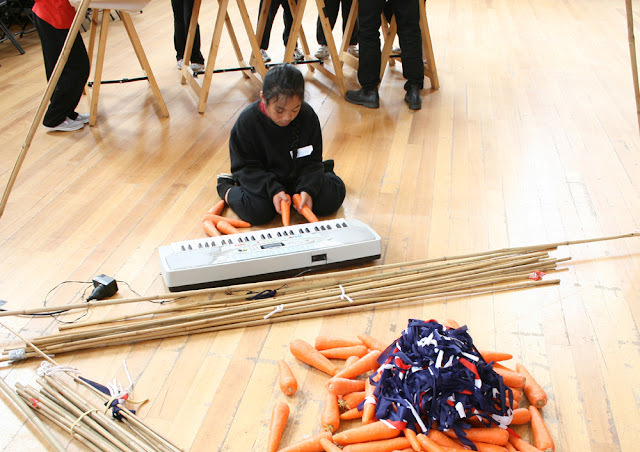 Slow Art Collective (current core member: Dylan Martorell, Chaco Kato) is an artistic collective established 2008, that focuses on creative practices relating to environmental sustainability, material ethics, DIY culture and collaboration. 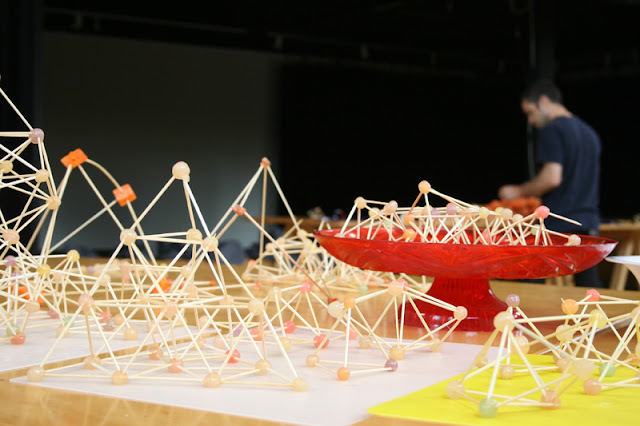 Members of the collective share common ideas, focusing on process-based art practice and use non-invasive material for environment. Workshop is a vital aspect as it becomes a crucial part of our installation.Slow Art Collective works with a wide range of people regardless the age, gender, race.We have worked in numbers of places including National Gallery of Victoria, Artplay, Castlemaine Festival and Fun 4 kids festival in Warnnambool Art Gallery. 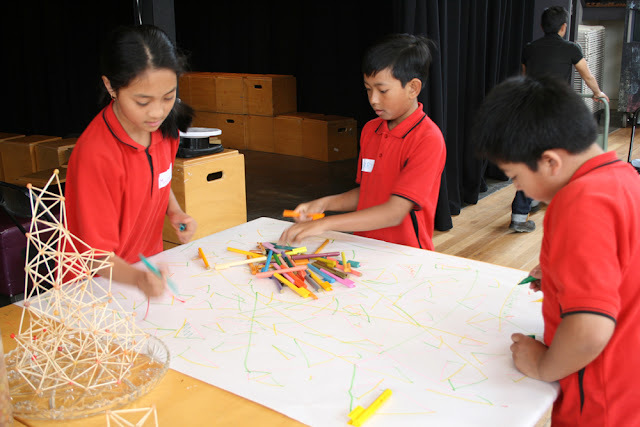 This workshop looked at the structural properties of the triangle with a focus on basic polygons as a starting point for exploration. 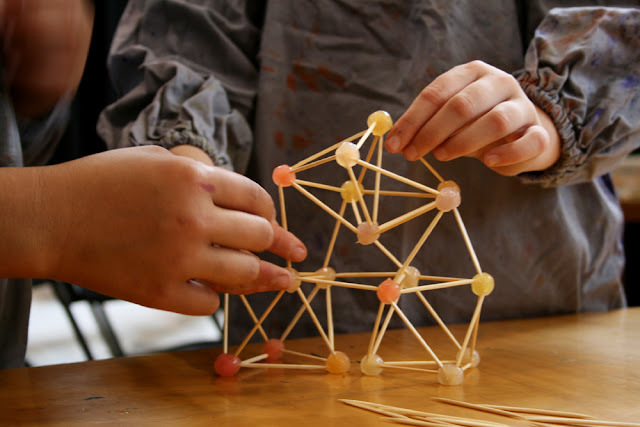 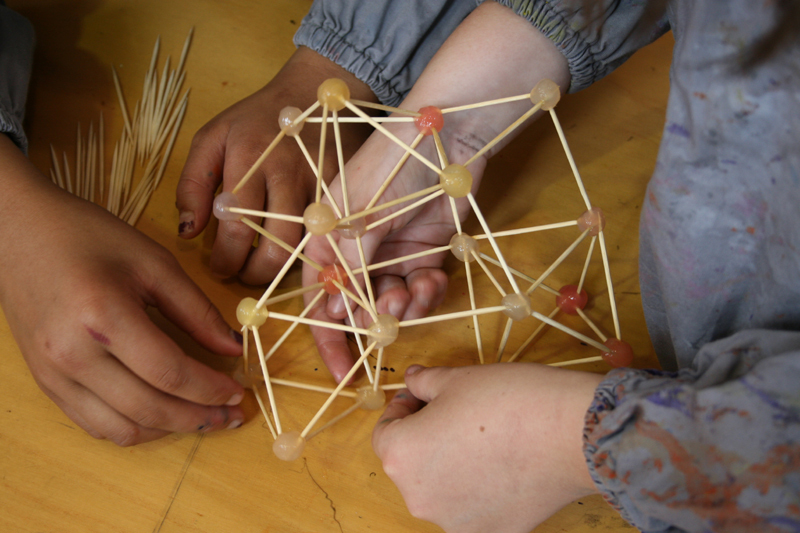 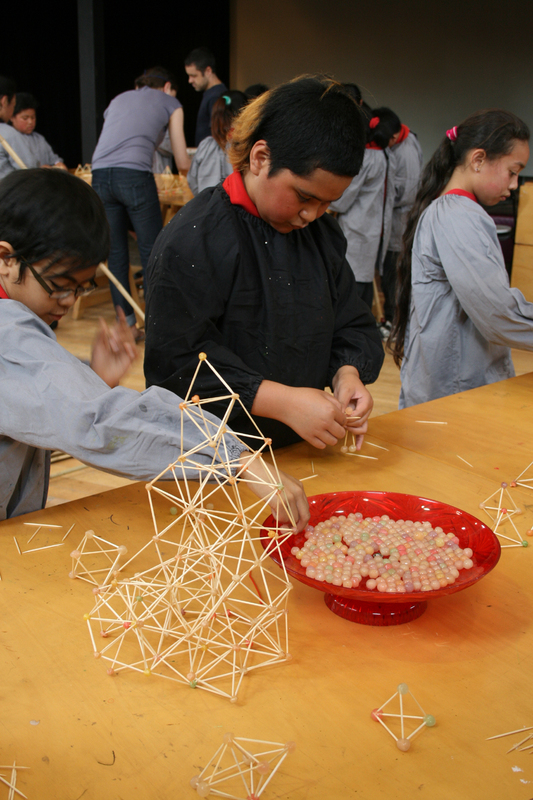 b) polygon exercise using toothpics and pearl tapioca to create triangle based structures. 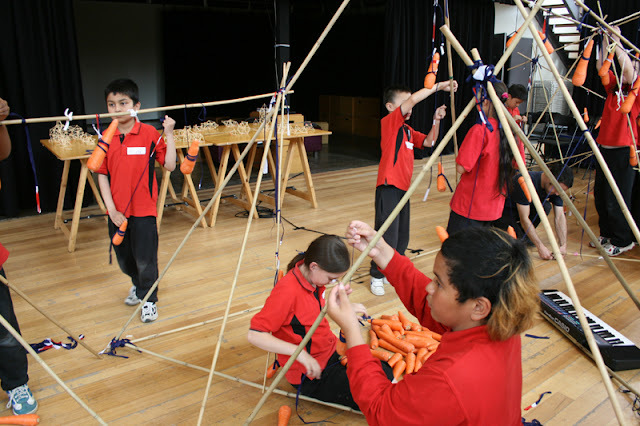 c) Large scale structure exercise using bamboo, fabric and carrots. 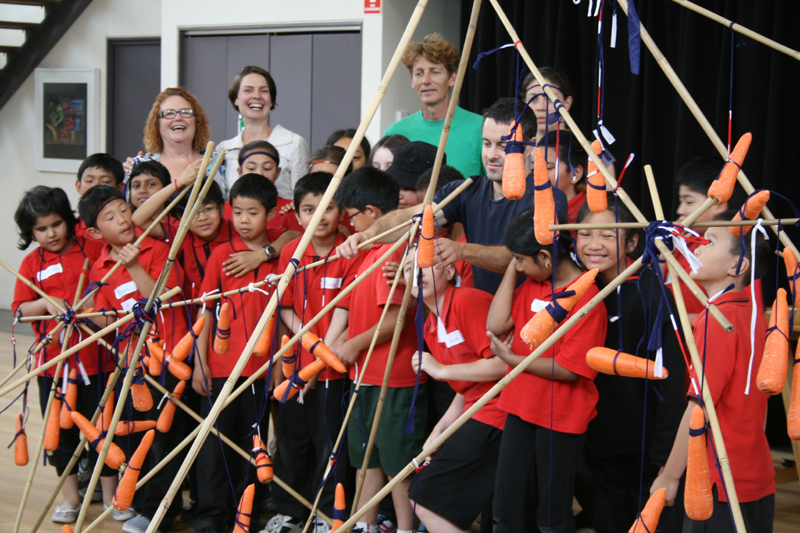 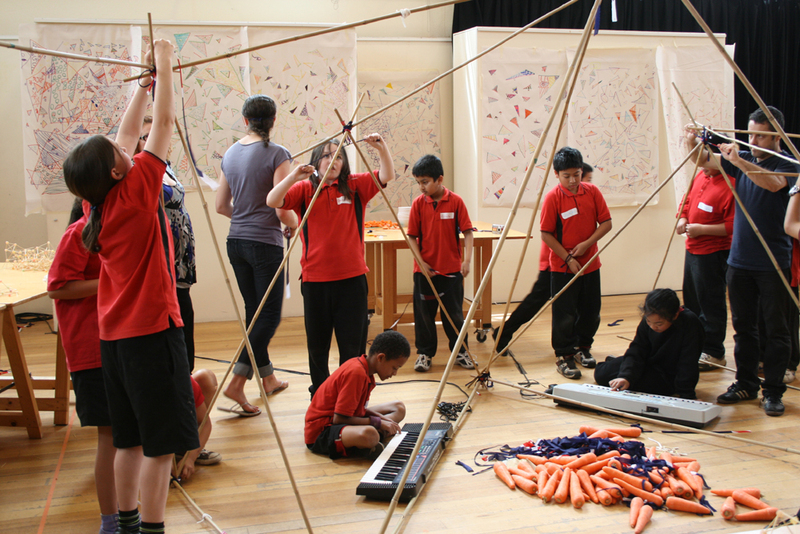 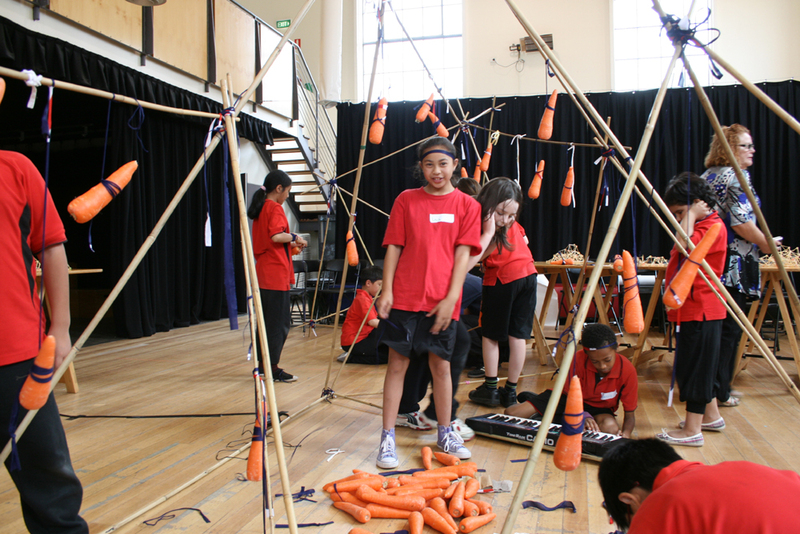 This exercise combined the idea of working as a team with the basic structural knowledge we picked up in the first exercise to create a large structure strong enough to hold 22 kgs of carrots.